MV: Have you ever been on a vacation? (If you haven’t you should try going on one, their quite enjoyable) Well one of the most frustrating things about on going on vacation as a Muslim is finding the Qibla! If you go with a big family or with a big group of people a lot times you see big fights over the qibla. Sure you might have the qibla finder on your phone but maybe an old classic uncle finds that bid’ah and tells you to use an old fashion compass…which points the opposite direction of what you found. Maybe that’s far fetched but personally sometimes I’m at a public location or even on a short road trip and it just happens to be salaat time…I’m not too high in technology so I’m usually lost in finding the Qibla. Whatever the example may be, its clear that as technology evolves there’s definitely a need for better tools for the ummah! I was just listening to Imam Yaseen Sheikh (Plano Masjid) yesterday and he was telling us how once at his old Masjid one day he comes in prayer and the Qibla changes! The reason was, was because the people of the Masjid found the Qibla a little bit off. He also told us that since the Kabaa is so far, its almost impossible to find the exact direction of the qibla and so around 44 degrees east or west is accepted because of that. And then Imam Yaseen told us about this cool new thing. A janamaz (prayer mat, rug, etc) that lights up when it faces the qibla! I found that really cool and useful. The product is called “EL Sajjadah” is its basically an “illuminating prayer mat that lights up when facing Makkah.” So where did they get the name from? “EL” stands for ‘Electro Luminescent’ and Sajjadah means ‘Prayer Mat‘. The cool thing is, the mat is not only thin and flexible but you can also roll and carry it around in a handy dandy special case! The other cool thing is is that its such a cool art piece that it could be used as a cool night light that you can hang up on the wall to scare away those Jins :). (Just kidding, read the Quran, khalmas and be afraid of Allah and they’ll run away inshAllah!). There are 1,6 billion Muslims around the world and ‘prayer’ is one of the prominent pillars of Islam. A prayer mat is the only product required during the 5-times-a-day prayers. Its main function is to provide a clean and isolated platform for the prayer. With the unique patterns on its surface, it also aims to bring the atmosphere of a mosque wherever it’s taken. Muslims need to pray towards Makkah where Holy Kaaba is located. Current practice is that an analogue compass is used to find this direction if it is not already indicated by a mosque or a local sign. where we are in the world, which is manually input by the user via the ‘city selection button’. The patterns on a prayer mat tell you the story of life. The Snake represents Hell which surrounds Heaven with a rectangle border. There is a Mosque at the heart of the Heaven. Mihrab is the arch that you would see at every mosque and so is the Light of God (Allah), suspended from the ceiling. Hand and Foot patterns indicate where to place hands and feet. Green is the holy color of Islam. Black is the color of Kaaba. ‘Vector line art’ has been implemented to achieve a contemporary approach to the patterns on a traditional prayer mat. 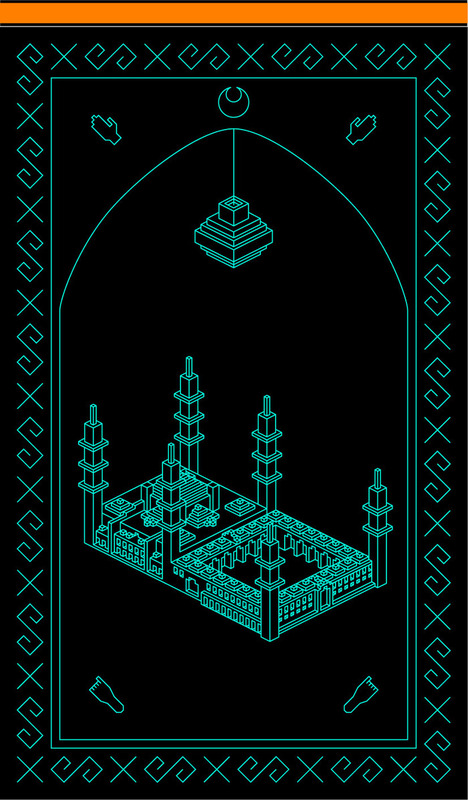 The Mosque pattern for instance, was drawn pixel by pixel by looking at a small scale model of the Blue Mosque in Istanbul. 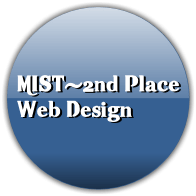 So far, without any marketing effort, EL Sajjadah attracted the attention of many online blogs including The New York Times, Engadget, Gizmodo, Huffington Post,Core77; and printed press including The Independent, I.D. Magazine, Art Review. 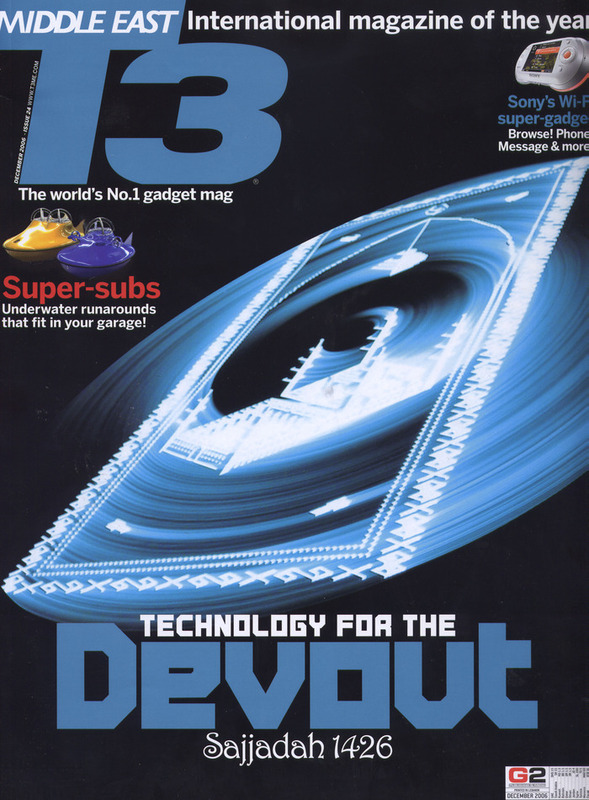 Eventually, it was the cover story for T3 Magazine with a four page exclusive preview. It has been exhibited in many countries including the UK, the USA, Germany, Austria, Turkey, Kuwait, Japan and South Korea. 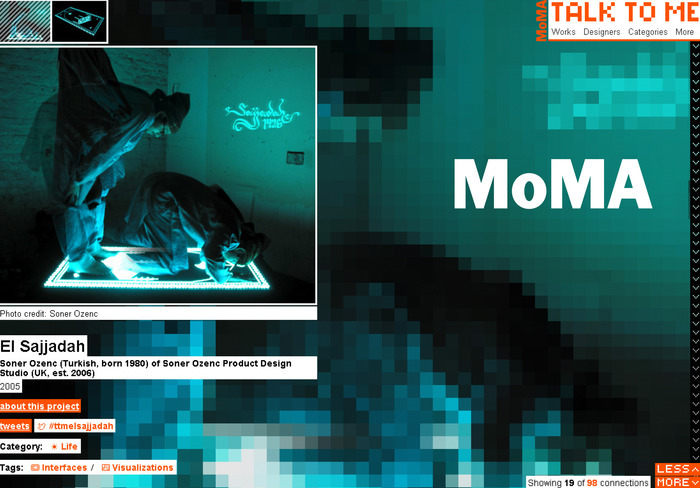 Early prototypes have been purchased by prestigious museums and galleries around the world, MoMA (Museum of Modern Arts, New York) being the most recent one, including EL Sajjadah in their ‘Talk to me’ exhibition. They have eventually acquired it for their permanent collection. Our designer Soner Ozenc wrote a ten-thousand-word thesis on EL Sajjadah, during his studies at Central St Martins College. We spent last six years of our time and approximately $30,000 of our personal finance to take it to its present stage. The demand has been overwhelming so far from all over the globe -from agents and distributors to galleries and museums, from enthusiastic art collectors to individuals. To make this project a reality, we need $100,000. This money will be used to refine the product, develop the manufacturing process, pay for tooling fees and meet minimum order quantity requirements. This is where we need your help! On the right-hand side, you will see pledge amounts and corresponding rewards you will receive in return. For an Early Bird offer of $500, essentially, you will be pre-ordering EL Sajjadah mass production version, and have the privilege of being one of the first to get hold of it. $1000 will get you a Kickstarter limited edition version, laser customised by RazorLAB (powered by Ponoko). We are extremely excited and can not wait to see the outcome of this project which will be purely supported by friends, fans and the public. Kickstarter is an all-or-nothing funding platform which means that if we cannot reach our target goal, the project will not be realised. Therefore, please pledge an amount you are comfortable with, spread the word and tell your friends / colleagues / family. Follow us on Twitter, like us on Facebook and see our Blog. Thanks for supporting us and being part of this journey! As of now they still need $7,009 of $100,000 goal within 33 days!